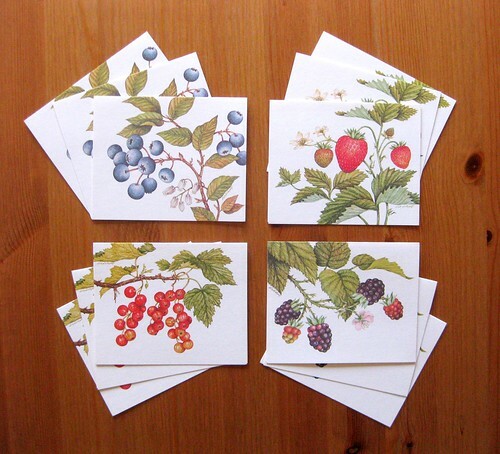 I just listed some lovely vintage/new summer stationery in my etsy shop: Vintage Current Berry and Jam Notes. 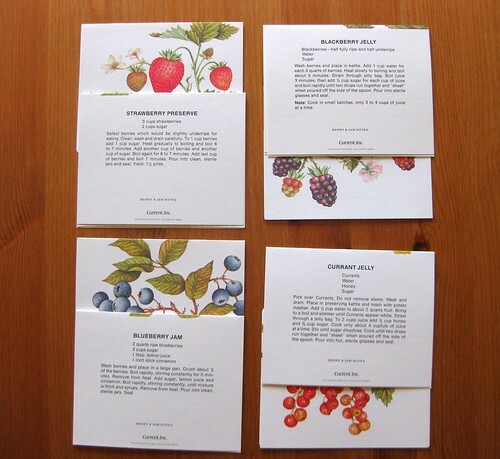 It's a complete pack of 12 vintage Current notecards and envelopes in their original packaging, from the 1970s or 1980s, featuring summer berries on the front and a recipe on the back for how to make jam from that fruit. The pack includes 3 each of 4 designs: strawberry, blueberry, currant, and blackberry. Do you get hungry looking at these ripe summer berries? I do! 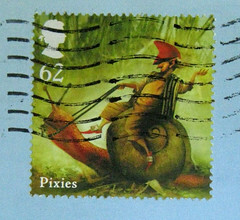 They put me in mind for summer letter-writing. I'm not a cook myself, but it seems like a double gift to send a letter and a recipe all in one with these cards. Edit: oooops. That was fast! They're sold out already. By the way, I'm so sorry I haven't written you a letter for such a long time. I'll try to send out my reply soon. Take your time, dear... I am, as always, still very much behind on letters. Missed those but I was busy making strawberry-rhubarb jam....wonder if I stuck an address label on a jar if i could mail one...Happy Friday. Pamela, I definitely bet you could mail a jar!